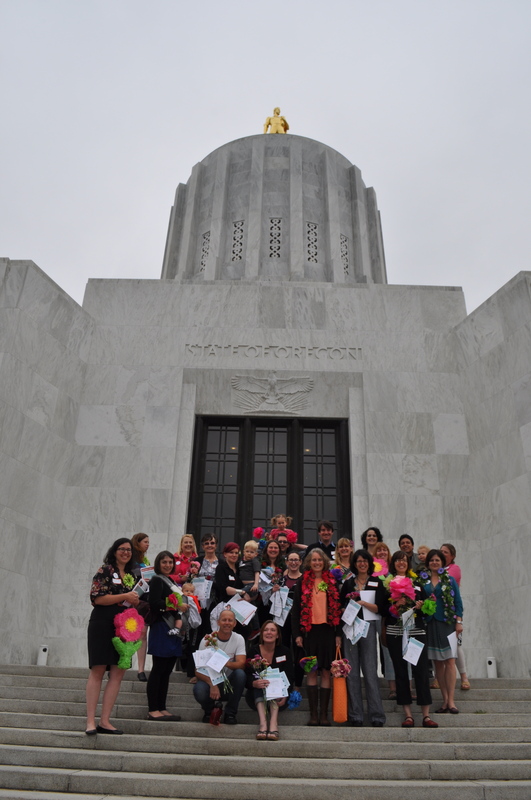 Advocate: We actively lobby for bold, universal policies in Oregon including paid family leave, paid sick days, and affordable child care. These policies must be available to everyone, from the unemployed to the high-wage earners. An equal playing field is the only way forward. Educate: Motherhood in this country should not result in poverty later in life, yet it’s the number one indicator. Armed with facts and case studies, we educate and inform our base of supporters, political leaders, and the broader public about what a family-forward workplace looks like and why it matters. Organize: We rally parents and employers to join this movement, to get active, and to demand change in our workplaces and in our state’s laws. We engage parents in the policy-making process, hold events, organize workshops, facilitate action groups, and recognize the family-forward employers and change makers that are leading the way. 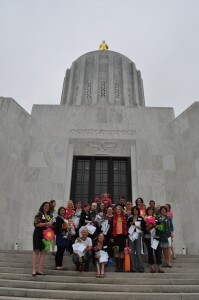 Family Forward Oregon is currently working to establish paid sick days, paid family leave, workplace flexibility, equal pay for equal work, rights for domestic workers, retirement security, and accessible, affordable child care for all in the state of Oregon.